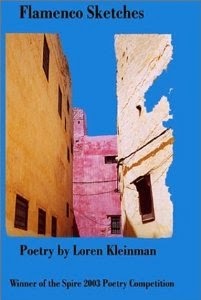 Set to be released in March 2014 by Winter Goose Publishing, The Dark Cave Between My Ribs, Loren Kleinman’s second poetry collection, explores the themes of love and loss. Kleinman’s poetry has appeared in a variety of literary journals including, but not limited to, Writer’s Bloc, Nimrod, Journal of New Jersey Poets, Wilderness House Literary Review, Resurgence (UK), HerCircleEzine, Aesthetica Annual, and Paterson Literary Review (PLR). Kleinman is currently working on a literary romance novel called This Way to Forever. Also in the works is a collection of interviews and essays called Indie Authors Naked: Essays and Interviews on the Indie Book Community. She was the recipient of the Spire Press Poetry Prize (2003), was a 2000 and 2003 Pushcart Prize nominee, and was a 2004 Nimrod/Pablo Neruda Prize finalist for poetry. Heather Lowery: You’re involved as a writer, editor, social media advisor, and instructional designer, among many other trades I’m sure. How do you find time to get everything done? Loren Kleinman: I’m incredibly territorial of my time. You need to be. I think it’s one of the traits of ambitious people (successful people). In regards to my editing projects, I’m selective. I write press releases, create media kits and edit poetry collections for my regular clients. I take on no more than two poetry collections per year, but I act more like a mentor than just an editor, suggesting books for writers to read, assisting them with publishing searches and calendars and much more. While I love helping people, especially poets new to writing collections, I have to make sure that I’m working on my own projects. I write every day. Saturdays are my off day. When I’m not writing, I’m reading. When I’m not reading, I’m writing. It’s a dance so to speak. I don’t think I ever have enough time. I try to manage it as best I can. If I can’t meet a deadline then I have to let a client know, I have to be honest about my limitations. But, I try to be incredibly aware of time before I take on any project. Part of managing your time is also being honest with yourself about how much time you have. You have to set boundaries, healthy boundaries. My work comes first. So, I say “No” a lot. And it’s ok. Life goes on. HL: In your previous collection, Flamenco Sketches, you combined the themes of love and jazz. Are there any combinations in your most recent collection? LK: Oh yes, absolutely. The Dark Cave Between My Ribs attempts to bear witness to trauma and its healing process. Trauma survivors will clearly remain tortured as bodily wounds may heal, but the wounded psyche bears witness to years of reconstruction. Finding the language to express trauma is a challenge within itself. Overall, the book is about love and loss, healing, and finding one’s self again through love. I try to show that in the wake of loss there is always the possibility to love again, and love can change the world, can change you. And I’m not just talking romantic love, but love that comes from seeing the value in ourselves, in the care that we give to ourselves and then love is born from this. Peace is the hardest thing to get to. It usually involves lots of pain before we can get to it, feel it. It won’t take a self-help book to get there either, it takes you and it’s possible. That’s what I hope comes across in the collection. HL: Flamenco Sketches was released nearly ten years ago. What differences can readers expect to find in your new collection? LK: Flamenco Sketches explored the relationship between love and jazz. I was looking at how love resembles jazz and all of its workings: broken time, improvisation, etc. Love is mysterious and so is jazz (to me). I mean, to have a song that could go in so many possible directions, especially live, and then always returning/keeping the essence of the original song…reminds me so much of love or how we love. The Dark Cave Between My Ribs still explores the idea of love, but also suggests that you need to have lost to feel love. Fransico Goldman, author of Say Her Name, says it well: “Love is like religion. You don’t know until you experience it.” Or something like that. My point is Flamenco Sketches celebrates love. Dark Cave implies you can’t experience the full capacity for love until you’ve lost it somehow. Love is a return to the place you came from, whether real or imagined. It’s that place where we stand naked, totally free. And it’s always a creative process trying to find ourselves. HL: How long have you been working on The Dark Cave Between My Ribs? LK: The collection took me seven years, three re-writes and 11 drafts. It was the hardest thing I ever wrote, partly because I didn’t want to make a joke out of love and loss. It’s two of the hardest themes to write about, effectively. It’s also the two that can sound the most cliché. I mean who hasn’t written about love? Who hasn’t written about loss? It’s like we get it. You loved and lost. Here’s an award. So readers want to be surprised. They ask, “so what?” So you have to answer that question for them. It’s your responsibility as the writer. True story. HL: Where did the title for your collection come from? LK: The collection had three prior names: 1. I Want No Paradise, 2. In The Heart’s Open Road, and 3. The Noble Loss. I was in love with the first one because it had so much sentimentality. I was interviewing a Holocaust survivor named Paul Victor. When I asked him if he’d ever change anything about his experience to which he replied, “I wouldn’t trade in all my loss for a paradise. I had to go through that to get to this.” This meaning love, happiness. But, my editor didn’t feel it fit the totality of the book. I wanted to keep the core of what I was getting at in I Want No Paradise. So I read the finished collection over and over again, hoping that something would spring out at me like shot rubber band. And it did. The title couldn’t be more of a fit. It was the book. It was the idea. Sometimes things are not as obvious until after the 100th time you look at them. And by that time they’re clear. HL: I read that you received your MA from the University of Sussex in the UK. How much influence has England had on your poetry? LK: I wrote the first draft of the collection at University of Sussex. It was meant to be my graduate thesis. Let’s just say I did not receive praise. I was too close to the topic. I had to get out of the way. And so I did. The first draft you write the feeling. The next drafts you write from the feeling. But in regards to influence…I lived in Brighton, right on Kings Road. All the sea air and just the idea that I was somewhere far away, hidden from familiarity, made me want to write as much as I could. It wasn’t inspiration I needed to write the book, it was peace. HL: Any plans to return? LK: I’ll be doing a small tour in London and in Brighton in March 2014. I owed it to myself to return to the place where the book originated. Full circle, I suppose. HL: In the few sneak-peak poems you have on your website, the theme of loss seems very prevalent. Loss of a loved one, loss of a lover, loss of self. How close is this subject to you? LK: It’s very close, which is why I needed to write so many drafts. I was absolutely in love with someone. We were to get married. It didn’t work out. Both of us were dealing with mental illness. But, I was devastated at the demise of the relationship. So was he. It’s something that took us years to move on from. Sometimes things just don’t work out. I have chronic depression though, which I take very seriously in terms of self-care. Depression is no joke. You can really lose yourself in it. It’s like being on a sea, in a tiny raft, you know you are going to go under, but you throw yourself in regardless. You’re under the water, and you’re the only one that can save yourself. You have to do it. There are also plenty of losses I’ve sustained throughout the years. Sometimes I go backwards, which is normal, but I keep moving forward. I also have incredible support from loved ones. It makes a difference. HL: What is one of your favorite lines or images from your new collection? HL: How did you get involved with poetry? What poets or writers inspire your writing? LK: I’ve always written poetry. It seemed to come natural. I think poets are just called to it. I don’t want to sound too cliché, but poetry is a calling. I think you have it or you don’t. Now, I don’t mean to say that by “having it” you don’t have to revise, I mean that you have the seed of some flower that hasn’t grown yet. You don’t write poetry. You are poetry. I read so much poetry. I love (love) Franz Wright, Charles Simic, Anis Shivani, Sharon Olds, Langston Hughes, Jim Daniels, Galway Kinnell, Sonia Sanchez, Anne Sexton, Claudia Serea, Sylvia Plath, Julia Hartwig, etc. I also love fiction. I’ve been eating up Meg Wolitzer. Love Francisco Goldman, Charlie Smith, Vladimir Nabokov. It’s important to read outside of your genre. It keeps you less static. There’s always something to learn from reading across genres. HL: What does your writing process involve? LK: I’m a reviser. I’m a re-writer. My process involves lots of re-writing. Everything sounds good when you’re in the thick of writing. Then you go back to it and wonder if you were drunk the whole time or maybe if you fell asleep with your head on the keyboard. Nothing makes sense, and you’re sure it did before. So I re-write until it makes sense, until it aligns to what’s really in my head, what’s really the story. I try to keep myself out of it. I always make things difficult (in regard to writing I mean). But, the writing process is so mysterious. Somehow things come together. It’s the closest thing to fate. HL: You’re currently working on a novel and a collection of interviews and essays. How important is mixing genres to the evolution of your writing? LK: It’s vital. If you want to keep your job, you need to make yourself invaluable. I’m a poet writing fiction now, and it’s scary. Actually it’s terrifying. I think I cried for most of the drafts. Some days I got it and some days it was like carving the David out of a block of wood with a spoon. But, I think that if a writer wants to reach a larger audience they have to keep their hand busy at multiple genres. I haven’t mastered fiction. I’m hoping I’m close in the next ten years. Yes that’s a long time, but you’re running a very long marathon for a very long time. You have to stop for water sometimes. HL: Where can interested readers get a copy of The Dark Cave Between My Ribs when it is released? LK: Readers can purchase a copy of the collection via Amazon and/or Winter Goose Publishing. HL: Anything you would like to add? LK: Readers can follow me on Twitter for updates. The best is to keep checking the website. I have sample poems on my site and links to all interviews and publications. Heather Lowery was a Division I rower for her alma mater, Robert Morris University, where she obtained a bachelor’s degree in communication with a concentration in applied journalism. 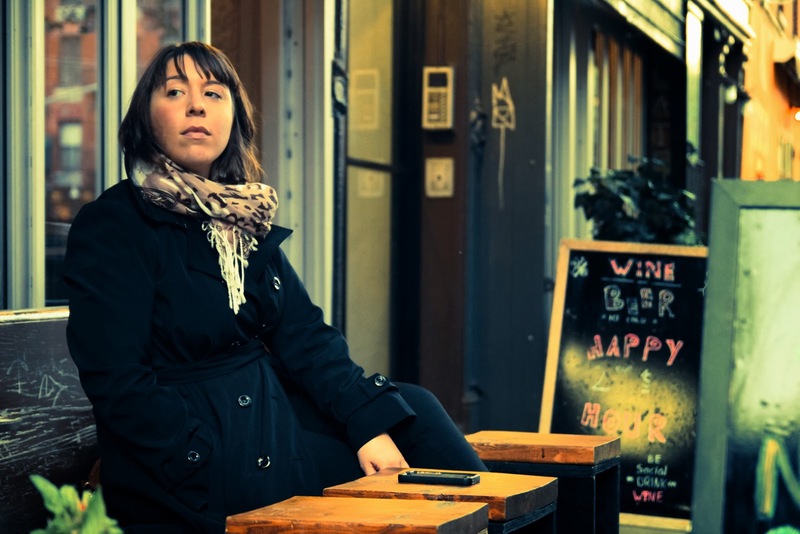 She has an MFA in creative writing from Wilkes University. One of her feature articles, “A scholar of the land, shepherd of the shore,” a personal profile on an Irish farmer, was recently published in Sneem Parish News, an international magazine. Though an award-winning journalist, she has decided to take a break from news to focus on writing a memoir about her relationship with her father.